Korean actor Ahn Jae-hwan, 36, was found dead in his car on Monday (Sept 8) morning. The police has classified his death as suicide. Early investigation suggested that he died of smo­ke in­h­al­atio­n by burning charcoal inside the car. He left a suicide note expressing his love for his wife, comedian-actress Jung Sun-hee, whom he married in November 2007. It’s unknown if he had stated the reason(s) for his suicide in his final note, but it’s believed that he ended his life because of financial stress from business failure. 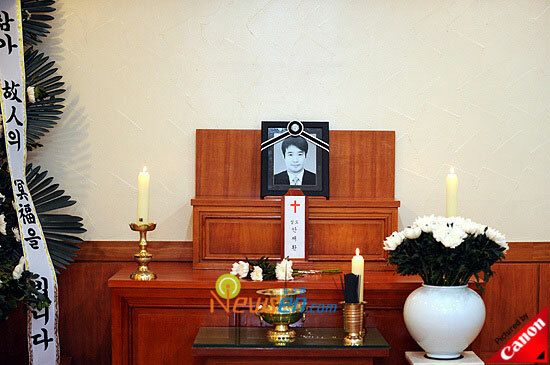 Rest in peace Ahn Jae-hwan. My condolences to his wife and family.